At the Biennale des Antiquaries, de GRISOGONO unveiled the FOLIES high jewellery collection, as audacious and as unconventional as Fawaz Gruosi’s unbridled creativity. FOLIES by de GRISOGONO is a collection characterised, once again, by the “signature touch” of the Maison: audacity, exuberant, unusual gem colour combinations – those traits that have defined de GRISOGONO jewellery creations for the last twenty-three years. Gemstones are of important proportions and of unusual cuts. Gemstones are also set in many and different ways: the classic high jewellery savoir-faire goes hand in hand with innovative setting techniques that allow the jewel unique and superb lustre. The FOLIES collection is another step forward and goes beyond anything already created. 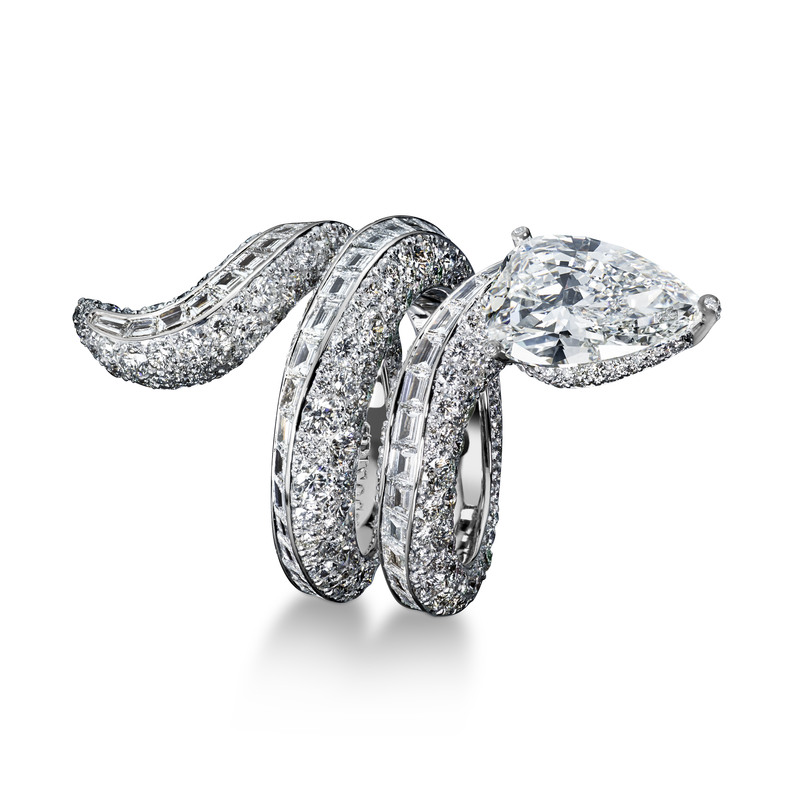 It starts with apparently classic shapes and designs, defined according to Mr Gruosi’s intent of using white diamonds. From there, it is a new triumph of creative folly. By matching the diamonds’ unique brilliance with the strong accents given by rubies, emeralds, blue sapphires, black diamonds and onyx, de GRISOGONO remains true to is unmistakable “crazy” creative touch. Material courtesy of de GRISOGONO Press Office.